On this last wordless Wednesday in June, this image accompanies a quote by William Feather. “Some people are making such thorough plans for rainy days that they aren't enjoying today's sunshine.” Or as the movie character, Ferris Bueller simply puts it, “Life moves pretty fast. 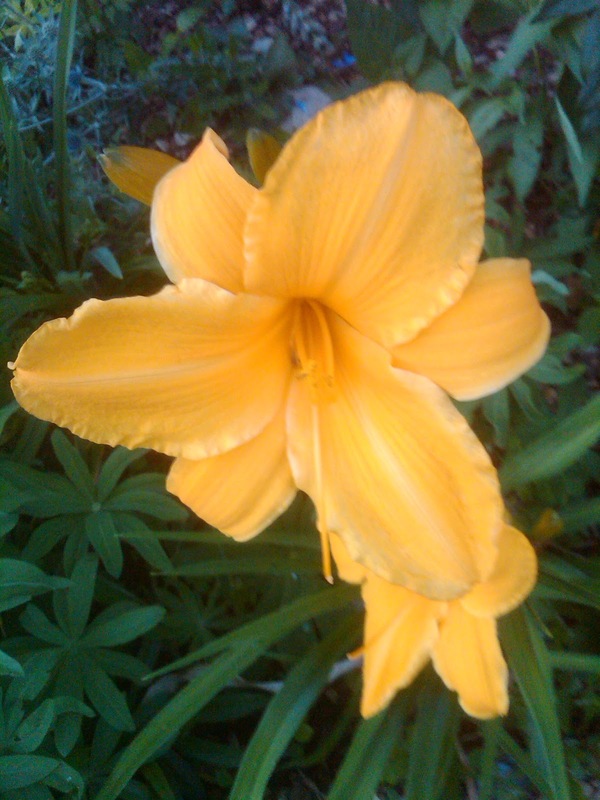 If you don't stop and look around once in a while, you could miss it.” This dazzling Daylily is enough to brighten any rainy day; until the next bloom.